Our experienced Michigan lead poisoning attorneys have been representing Michigan adults and children who unknowingly contracted lead poisoning. 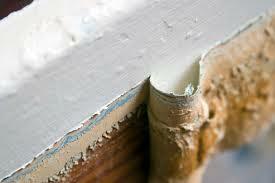 In 1978, the use of lead paint was banned in the United States. However, there are still some houses that exist where lead paint was used. Living in a house like this can lead to breathing in dangerous levels of lead paint and can cause serious injury. Our lawyers have won major settlements for people injured by lead poisoning. People call us every day asking what the value of their case is worth. Unfortunately, this is not an easy question to answer. There are several factors that go into determining the final settlement value of a case. If you contact one of our Michigan attorneys, we can listen to your story and give you an estimate on what we believe that case is worth. No honest attorney will be able to estimate the value of your case without extensive knowledge of your specific situation. Buckfire & Buckfire, P.C. attorneys have been using their skill, expertise, knowledge and reputation to win significant settlements and jury verdicts for patients who suffered from lead poisoning. In fact, 97% of our cases are settled before ever going to trial. To speak with an attorney about your case, call us today at (800) 606-1717. We will listen to your story and determine if you are eligible to file a lawsuit. Of course, we do not charge any legal fees unless we are able to settle your case. This is known as our No Fee Promise. There is absolutely nothing to lose, so call our award winning attorneys today and get started on receiving the compensation you deserve for your injuries.